Nursing has many facets: compassion, customer service, time management, charting; but none of these compare to the nurse's primary roles of health promoter and detective. 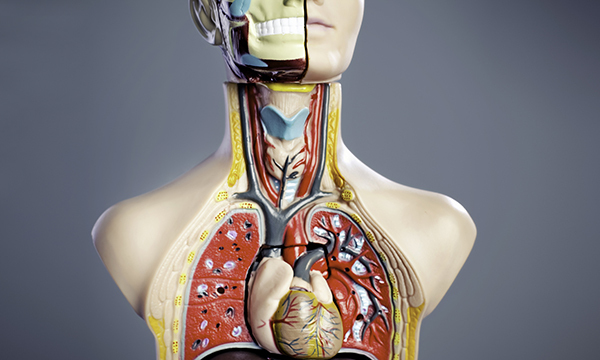 To undertake these roles, nurses must understand the relationship between structure (anatomy) and function (physiology). The study of anatomy has long been recognised as being one of the most significant components of nursing education and the educational standards of the Nursing and Midwifery Council (NMC) include anatomy as a compulsory requirement to practise in the UK (NMC 2018). Patient assessment is the collective responsibility of all healthcare professionals, as their knowledge and scope of practice are advancing (Hamilton et al 2008), and anatomical knowledge is crucial to the early detection of disease, injury or deterioration. Insufficient anatomical knowledge can lead to unsafe practice, yet a study by Molesworth and Lewitt (2015), for example, highlights that registered nurse mentors lack confidence in applying bioscientific concepts when facilitating students' clinical learning. However, this study was based on mentors' self-assessment of their knowledge as opposed to actual performance, and there should be caution against attributing validity of self-assessment to actual performance as the correlation between the two is tenuous. Meanwhile, registered nurses and students have reported low self-efficacy in the biosciences correlated to anxiety as opposed to actual knowledge deficits (Craft et al 2013). For this reason, I am conducting research to investigate the correlation between perceived and actual anatomical knowledge of nursing mentors and I am recruiting nursing mentors, or those in training. The results of this project will make a valuable contribution to the development of continuing professional development programmes and testing the validity of proposed anatomical syllabuses for undergraduate nurses (Connolly et al 2018). Connolly S, Gillingwater T, Chandler C et al (2018) The Anatomical Society's core anatomy syllabus for undergraduate nursing. Journal of Anatomy. 232, 5, 721-728. Craft J, Hudson P, Plenderleith M et al (2013) Commencing nursing students' perceptions and anxiety of bioscience. Nurse Education Today. 33, 11, 1399-1405. Hamilton A, Swales L, Neill J et al (2008) Risk stratification of chest pain patients in the emergency department by a nurse utilizing a point of care protocol. European Journal of Emergency Medicine. 15, 1, 9-15. Molesworth M, Lewitt M (2015) Preregistration nursing students’ perspectives on the learning, teaching and application of bioscience knowledge within practice. Journal of Clinical Nursing. 25, 5-6, 725-732. Nursing and Midwifery Council (2018) Realising Professionalism: Standards for education and training. Part 3: Standards for pre-registration nursing programmes.